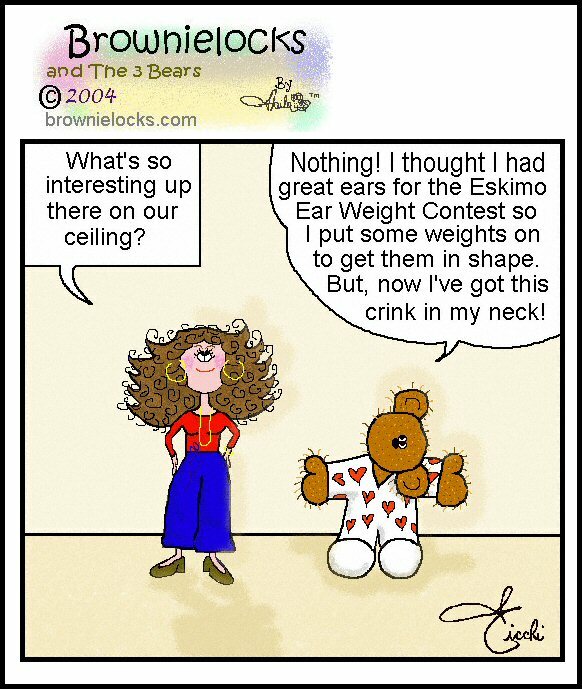 Eskimo Indian Olympics History & Cartoon Fun by Brownielocks. Although these are called "Winter Olympics" they are held in Mid-July or early August in Fairbanks, Alaska. The first Eskimo Olympics began in 1961, two years after Alaska became a state. How, why and who started it? Alaskans have always had a tradition of occasionally getting together to play games. These games were meant to test certain qualities needed to survive in the harsh climate they lived in, where hunting food was necessary no matter how extreme the weather. So, people from small villages would get together, usually during Christmastime, to informally compete. They also did cultural events such as dancing, storytelling and feasting. Over 40 years ago, a pilot for Wien Airlines kept seeing these traditional sports get-togethers while he traveled across the state. He was worried these games would disappear so he convinced his employer and the Fairbanks Chamber of Commerce to include these games as part of the city's annual Golden Days Celebration. Frank Whaley was the pilot. And, in 1961 the games became a part of the celebration. Nine years later, the Tundra Times, Alaska's only native newspaper took over the sponsorship of the event. When they did, they also changed the name to the World Eskimo-Indian Olympics to reflect the wide range of native people participating in the games. The late A. E. "Bud" Hagberg, also co-chaired the first several events with Frank Whaley. Other pilots, Bill English and late Tom Richards, Sr. served as the emcees. A lot of the contests are the same as those in the Arctic Winter Games, such as the Knuckle Hop, arm pull, Ear Pull, High Jump and Toe Kicks. These contests challenge the participants pain endurances, balance skills and agility, or are associated with skills needed for hunting and whaling, like the Blanket Toss. Other contests are to test a participant's brute strength that is needed to haul seals and other animals through holes n the ice. From 1961 to 1969, only men competed in these games. Then in 1970's and 1980's. In 1998 women placed First, Second and Third in the Ear Weight, a contest in which competitors lift weights that are attached to their ears by loops of twine. (Ouch!!) They must lift the weights by standing up as straight as they can and then move forward over the greatest distance possible. In addition to the athletic contests, they also have fish-cutting and seal-cutting contests, a Native Baby Contest (both mother and child appear in tribal costumes), an Eskimo dance contest and the very popular Miss WEIO Pageant. Through these past 40+ years, the World Eskimo-Indian Olympics have increased in popularity and drawn larger crowds of spectators. They've also continued to increase in their record-breaking accomplishments. It is no longer sponsored by The Tundra Times. Instead, there is now a non-profit, independent organization dedicated to planning, organizing, promoting and running this event. These games may be strange to some of us. But, the organizers work hard to present these games as an important connection to the survival of a culture, rich in history, stories, and spirituality. This is also called the Nalakatuk. Team members hold up a huge walrus-skin "trampoline" style blanket. The competitor is thrown as high as 30 feet in the air by sitting or standing in the middle of this leather trampoline. This practice goes back to whaling communities where it was a common practice used to celebrate a good hunt. It was also used as an exercise to improve a hunter's eyesight to spot game by elevating him to a point where he could see over greater distances. This contest involves wearing very heavy weights around your ear. In the old days, it was a 25 lb. bag of flour. Today, they use 1 lb. lead ingots, which keep being added (up to 16 ingots). These ingots are threaded through twine. The contestants loop the twine around one ear and then lift up, without using their cheek, pack the weight, and then strive for distance. This involves jumping off the floor and kicking a suspended target. There are a few different kind of these contests, depending on the number of feet used. In the One-Foot High Kick, the competitor uses both feet to propel himself (or herself) upward, then kick the target with one foot and land on the SAME foot without losing his or her balance. This goes way back to times when messengers used this action to let other villagers or hunters know that a whale had been caught or that other game was approaching. The Two-Foot High Kick is much like the One-Foot, except that the competitor must kick the target with both feet and then land on both feet. The Alaskan High Kick is even more complicated, requiring the competitor to hold one foot with the opposite hand and then using the other hand for elevation and balance, to attempt to kick the target with the foot that is free. The contestant must also land in the same same position without losing his or her balance, with the object being to get as much height as possible. This is also called the Seal Hop because it looks much the same as the movement of a seal. This contest is a real challenge to strength and endurance. The competitor gets into the position normally used for a pushup, but with all his (or her) weight resting on the knuckles (rather than hands) and toes and the elbows partially bent. Then keeping the back straight, and elbows still partially bent, he (or she) attempts to "hop" forward. The goal is to cover as great a distance as possible, but of course not much distance is usually achieved. Originally, this was a game designed to be played in a hut or other confined space during the winter, or on the ground outside in the summer. This isn't the familiar American ice cream treat known as "Eskimo Pies" we see in our grocery stores. Eskimo ice cream is popular and is called Akutaq. It ismade from whipped berries, such as salmonberries or cloudberries, that are mixed with snow and either seal or caribou oil. In other words, this is a blubber eating contest. Muktuk is the skin of a whale and the thin layer of blubber beneath it. It usually comes from beluga whales. And much like a pie-eating contest, the Muktuk-Eating Contest requires competitors to eat as much of this Eskimo delicacy as quickly as possible. In 1961, the very first "Miss World Eskimo Olympics Queen" contest was featured. Later, it was changed to "Miss World Eskimo-Indian Olympics." It is modeled much like the MIss America Pageant with the competition emphasizing not only physical attraction, but poise, talent, and other accomplishments. They also give an award for Miss Congeniality, Most Traditional, Most Photogenic and Most Talented. This is a 5-kilometer road race that takes place as the start of the World Eskimo-Indian Olympics. The male and female winners of the race are given the privilege of carrying the torches used to ignite the World Eskimo-Indian Olympics official torch, which is modeled after the Olympic Flame using in the Olympic Games. I haven't listed all the games. For a complete listing and explanation of all the games that go on, Click Here! The World Eskimo-Indian Olympics logo is six interconnected rings (just like the Olympic Games uses) that symbolizes Alaska's six major tribes: Eskimo, Athabascan, Haida, Tlingit, Tsimshian and Aleut. The Olympic Rings symbolize the 5 continents (Africa, America, Asia, Australia and Europe). Each year the following awards are presented as a tribute to the contributions to the WEIO. 1. A. E. "Bud" Hagberg Memorial Sportsmanship Athletic Award - chosen by the athletes among themselves - this award is presented to the outstanding sportsperson exemplifying the spirit of good sportsmanship. 2. The Howard Rock Memorial Outstanding Athlete Award is another award to the best athlete chosen amongst the athletes themselves. 3. Frank Whaley Award Presentation for Outstanding Contributions is presented to the one individual or corporation who has demonstrated exemplary contributions of time, money and effort on an annual basis. Return to our July or August Monthly Holidays Page.